Deal: Save 77% on this super slim Aukey wireless charging stand at Amazon! Deal alert! Amazon is selling an Aukey wireless charging pad at a crazy discount! 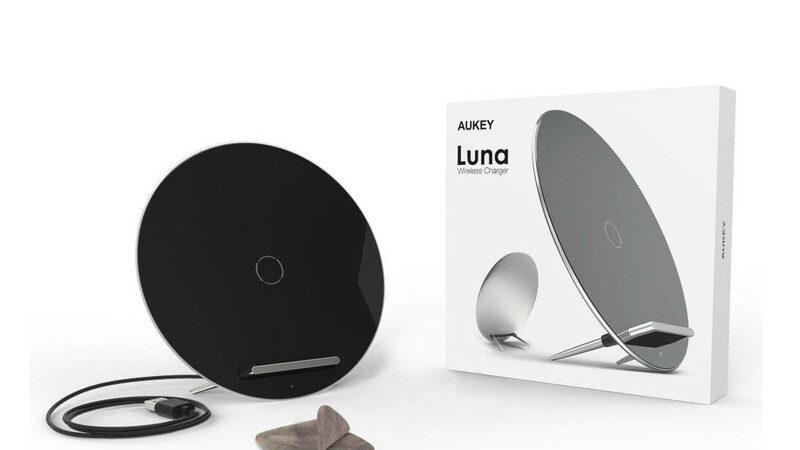 By entering the code DDE7OVV4 at checkout, you can shave a massive 77% off the price of Luna wireless charger. This charger features a super slim and alluring design. There are 3 induction coils that allow you to charge your phone at any position with a maximum power of 5W. It's compatible with both iOS and Android devices, making it a great purchase for those of you living in households with multiple smartphone owners. Built-in safety features include temperature control, foreign object detection, and power input monitoring. A wall adapter and charging cable are included. A standard 1-year warranty is also on board. The item is back ordered but you can still place an order, new inventory is set to arrive in early March. Useless article. No link for such offer so it is only empty words.